Meaning “of the valley” in the local Native American dialect, Pasadena still celebrates the beautiful climate that originally enticed its first settlers almost 200 years ago. The annual Rose Parade, held every year before the Rose Bowl since 1902, is a nationwide celebration centered in Pasadena. The city is also home to a large number of higher learning and scientific institutions such as the Jet Propulsion Laboratory and the California Institute of Technology. There are also a large number of qualified and exceptional Pasadena lawyers. Attorneys in Pasadena can assist you with any legal dilemma you may have, including criminal defense, bankruptcy, wills and trusts, family law issues, real estate transactions, or any other legal matter you may be facing. Lawyers recently represented Pasadena clients in a civil suit filed against a local railway line. The plaintiffs in the suit sued the line claiming that the noise had lowered their property values and their quality of life. The suit eventually settled, with the line promising to quiet whistles and bells used on the line, as well as erecting sound barriers to protect residents from the noise. 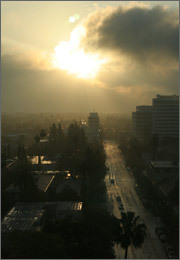 Lawyers in Pasadena are familiar with the Los Angeles County Superior Court system. With almost 50 courthouses serving 9.5 million people spread over a 4000 square mile area, it is by far the largest superior court system in the state of California. Indeed, the Los Angeles County Court system is larger than many state court systems. If you have a case in Pasadena, you will want a local Pasadena lawyer familiar with this system and with the ins and outs of the local Pasadena Courthouse. For help finding a Pasadena attorney, visit LegalMatch.com, the premier attorney-client matching service. In 15 minutes you can be on your way to finding a local, experienced Pasadena attorney that knows how to handle your case. Our service is completely free and you are guaranteed that any attorney you speak to is in good standing with the California Bar and is familiar with your local courts. At our website you will also find valuable information on popular legal topics as well as helpful tips to assist you as you search for your advocate.